This complementary volume provides five additional essays to expand our understanding of Hayek’s ideas about money and monetary policy. 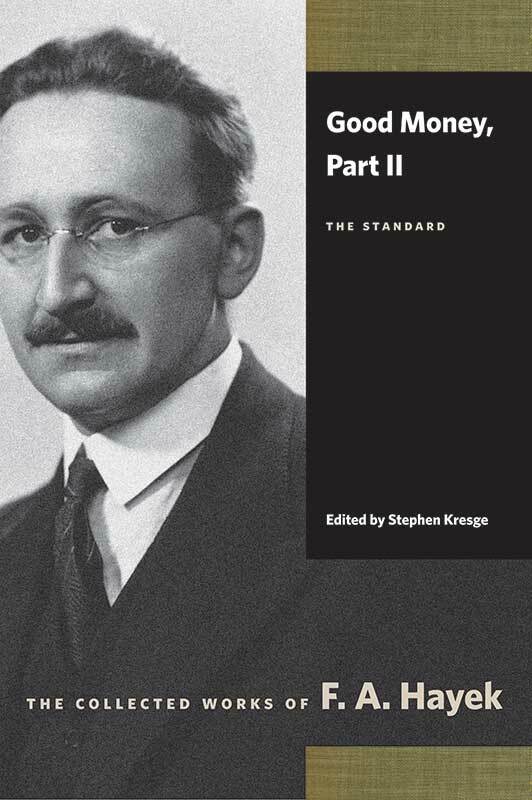 Good Money, Part II: The Standard investigates the consequences of the “predicament of composition” which led to one of Hayek’s most controversial proposals: that governments should be denied a monopoly on the coining of money. Editorial foreword by Stephen Kresge, introduction by Stephen Kresge, name index, subject index.